YENAGOA — Former President Olusegun Obasanjo, weekend said the huge investments by Governor Seriake Dickson of Bayelsa State in ensuring quality healthcare delivery will soon turn the state into a medical tourism hub in the country. According to a statement by the Chief Press Secretary to the Bayelsa State Governor, Mr. Francis Agbo, Chief Obasanjo, at a command performance in his honour at the Chief DSP Alamieyeseigha Memorial Banquet Hall, Government House, Yenagoa, said he will henceforth visit the state regularly to have his medical check-ups. Obasanjo had, during his three-day visit to Bayelsa, commissioned several legacy projects, including the world-class diagnostic centre, Bayelsa State Specialist Hospital, the Bayelsa State Drug Distribution Centre in Yenagoa and the Aquaculture Village in Igbogene. He also interacted with students of the flagship free Model Boarding School, Ijaw National Academy, Kaima, as well as enrolled in the state Health Insurance Scheme, thereby becoming an honorary enrollee of the scheme. The former president noted with satisfaction the level of development that has transformed the state, especially in the areas of education, health, infrastructure, tourism, among others, stressing that he will testify to the world, what he has seen in Bayelsa. According to him, Governor Dickson’s placement of education at the top of his administration’s agenda, is a means to eradicate poverty, curb insecurity and create jobs for the teeming youths in the state. He called on investors within and outside the country to take advantage of the prevailing security, peace and stability in Bayelsa State. Obasanjo lauded Governor Dickson for recognising and honouring past and serving leaders of the state for their immense contributions to the development and growth of the state. 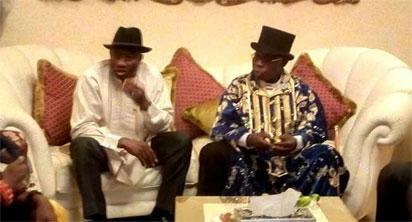 The post Bayelsa fast becoming Nigeria’s medical tourism hub —Obasanjo appeared first on Vanguard News.